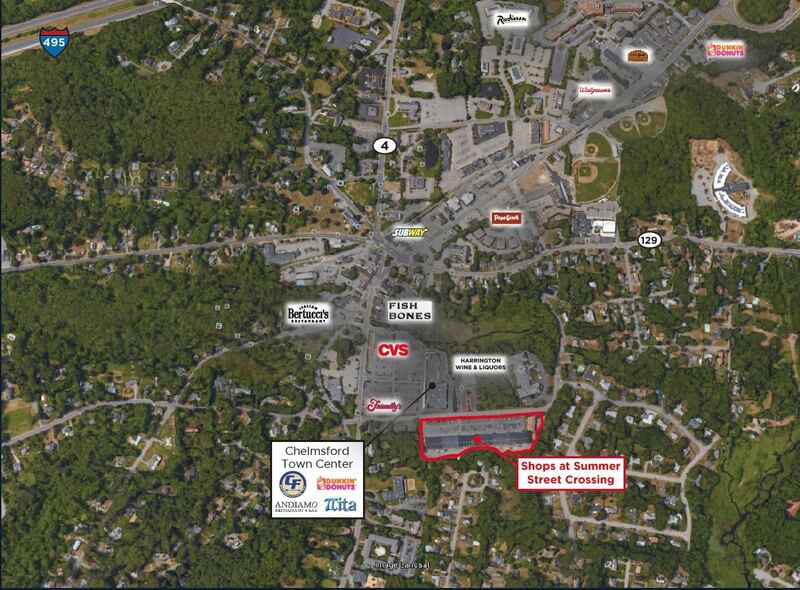 The Shoppes at Summer Street Crossing is the local shopping center for downtown Chelmsford. 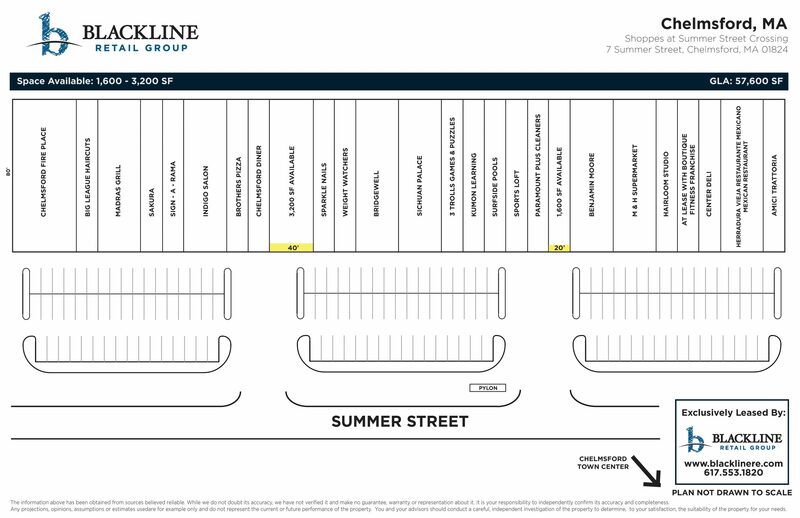 With over 57,000 SF GLA and ample parking, Summer Street Crossing is the one stop shop for all your local needs. With options from service, clothing, restaurants, and fitness this center has something for every customer.